The Travelling Lindfields: Where to look for platypus in Tasmania. 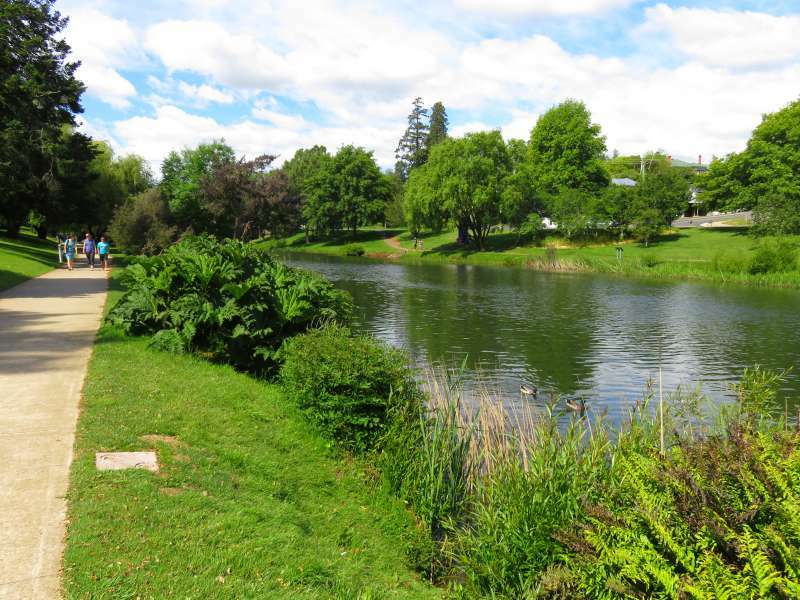 After more than an hour walking along the river bank path in Deloraine, stopping every few metres to scan the surface of the water, even I was ready to give up. This was platypus country and we were here in search of one of Australia's most elusive creatures. The platypus is an egg-laying mammal. Along with echidnas it is the only mammal still in existence which lays eggs instead of suckling its young. It has a bill like a duck, a tail which looks like a beaver's tail and the male platypus has a spur poisonous enough to cause severe pain in a human being. The platypus is one of the most unusual looking animals on the planet. It is also cute - seriously cute. Platypus are shy and like almost all Australian animals are most active at dusk and dawn. David doesn't do dusk on holidays. Once the sun goes down he likes to be safely tucked up in a hotel room and he never does dawn, even at home. Nor does he take especially well to wandering slowly along river banks staring at the water for long periods of time. With my search confined to the odd 10 minutes here and there during daylight hours, finding a platypus in the bush is akin to winning the lottery! 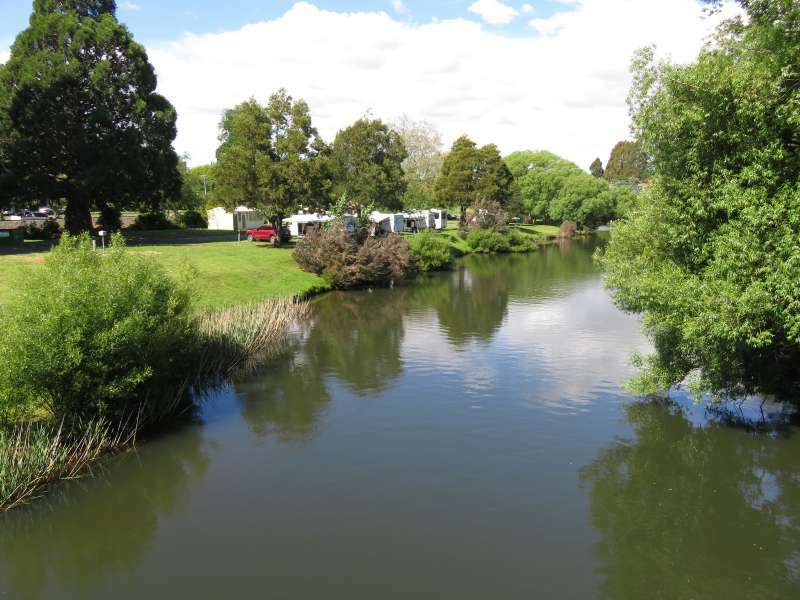 I had read a travel blog saying Deloraine was a good place to look, especially near the town caravan park. Unfortunately by the time we got to Deloraine I had forgotten the 'near the caravan park' bit. As a result we spent the first part of our search fruitlessly scanning the wrong stretch of river. Just at the point where we were about to turn back defeated, I caught sight of ripples on the surface of the river and then a small eruption of telltale bubbles. We were standing right in front of the caravan park. Our first sight was only a glimpse as he dived beneath a bush over hanging the bank. After a few minutes he appeared again, this time rolling over and over as the current carried him downstream. He seemed to be playing, or feeding - or both. He let the current carry him about 20 metres, alternately diving and surfacing to breathe, groom and roll about. Then he would disappear leaving us to scan the water frantically for ripples and bubbles. A couple of other holiday makers joined us. The platypus didn't seem to mind. For a shy animal he was remarkably happy to put on a show for us. Where did we find our platypus? We were in Deloraine in Northern Tasmania. The Meander River runs through the centre of town and there is a riverside walking path which makes platypus spotting easy. Take my advice and start your search at the caravan park. We found our platypus about 5 pm. The Meander River, Deloraine. The caravan park is right next to the river. Stay quiet - platypus are shy. 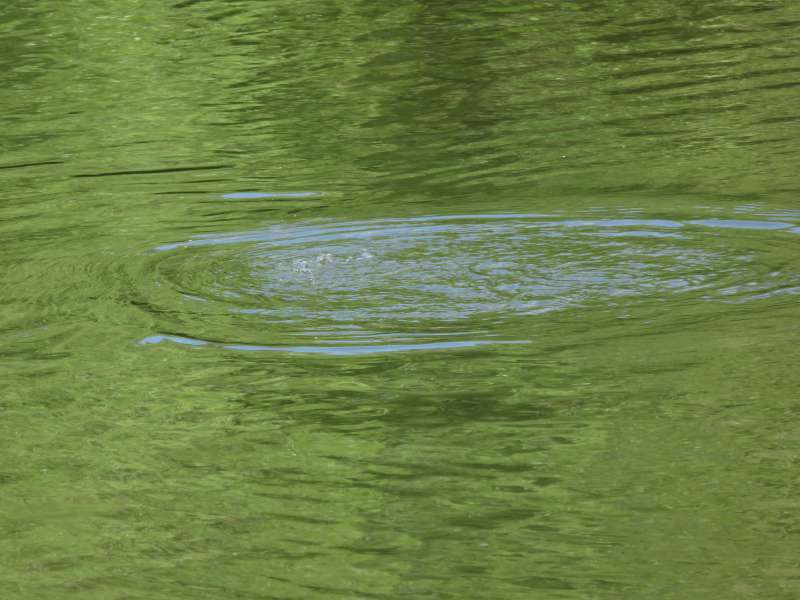 Look for a bulls-eye ripple pattern and/or bubbles on the surface of the water. Platypus usually stay under water for less than a minute and will re-surface less than 10-20 metres from where they dive. Look for ripples and bubbles. Each time I asked about platypus in northern Tasmania, someone would mention Mole Creek. Mole Creek is about an hour west of Launceston on the same road as Deloraine. Like Deloraine, the place to look seems to be the caravan park. I'm not sure whether platypus like living near caravan parks or whether caravan park residents are just more eagle-eyed than the rest of us. I suspect it's the latter. Latrobe also got a few mentions. 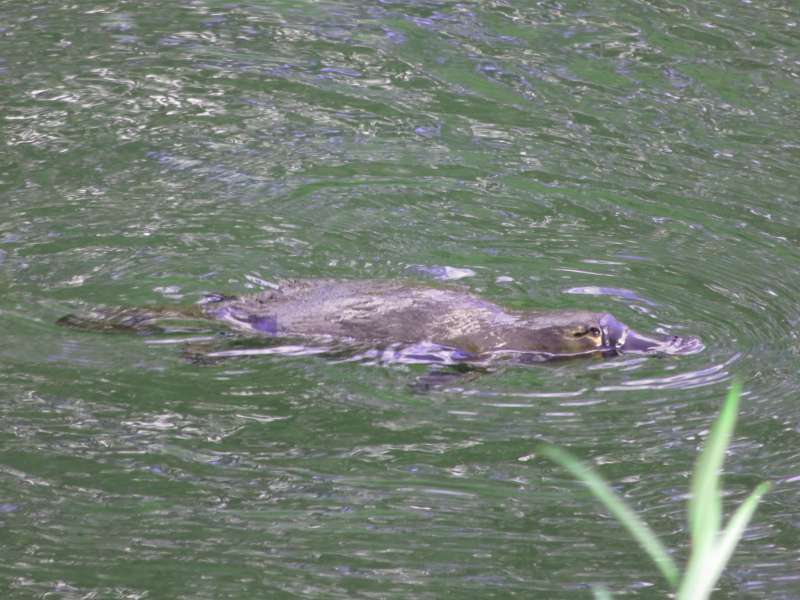 It is one of the many places in Australia which calls itself the 'Platypus Capital of the World' so if you luck out at Deloraine and Mole Creek it is probably worth a try. Postcript: - This post was kindly shared on Facebook by the 'Tasmania' page. 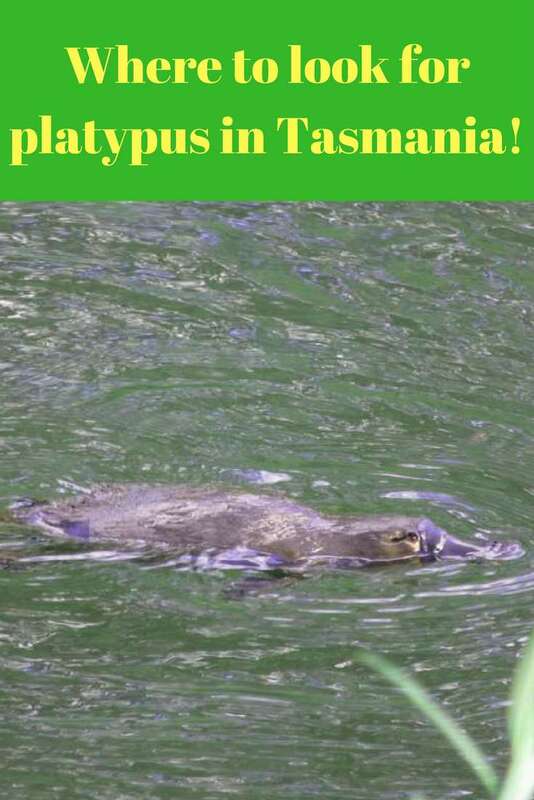 It attracted 60 comments from locals and tourists detailing dozens of locations where platypus can be found in Tasmania. 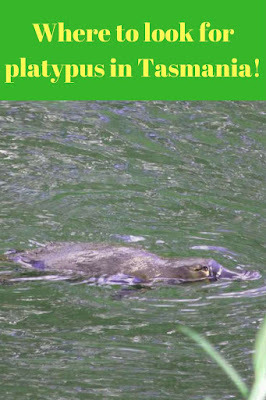 If you are headed to Tassie and you want to see a platypus, check out the comments on the Facebook post - here. The river bank path at Deloraine. Last year David and I visited Tidbinbilla Nature Reserve just outside Canberra. We went there looking for platypus after a fellow travel blogger had seen one. We found two within ten minutes of starting our search. Read about Tidbinbilla and its fabulous wildlife - here. You don't need a tour to look for wildlife in Tasmania. Just hire a car and pack your camera. However if you want to see what wildlife tours are available click here at Get Your Guide for a list. 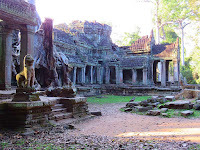 (Note: If you book a tour through this link we earn a small commission). The 17 best places to see Australian wildlife. If you enjoyed this post or found it useful please consider sharing it. Brilliant advice - I wish I read this before I went to Tassie. Drove the whole way round it a couple of times and still never saw one in the wild. That is exactly why I wrote the post. A couple of friends came to Australia for two weeks and never saw a kangaroo in the bush. Australia has 6 million kangaroos - how can that happen. So I wrote a post a few weeks ago titled 'The 17 best places to see Australian animals in the bush' and now every time I find a great place to see animals in the bush I am going to write about it and add it to the list. I have a draft post on seeing penguins at Low Head near Launceston ready to publish in the next couple of weeks. I hope you loved Australia and Tasmania even without wild platypus. Oooh fun! I've never seen a real playtpus before! What an fun experience! #WeekendWanderlust #Wkendtravelinspiration Happy Holidays!! You can see them in zoos but seeing one in the wild was awesome. They are amazing little creatures. Great tips! I have seen one in a zoo but never in the wild, would definitely like to do this when I make to to Australia! They are very elusive but Tasmania seems to be the best place to see them, apart from Tidbinbilla Nature Reserve in Canberra. I am glad you like the post. I wrote one a few weeks ago on the 17 best places to see wildlife in Australia. I enlisted the help of a few other bloggers and came up with some great tips if you are looking for kangaroos, koalas, penguins etc. It's very rare to see these animals. I'm not sure I like the platypus. He looks very strange, like the Creator made an error when he created him. But it surely is an interesting animal to observe #TheWeeklyPostcard. Platypus look really cute in real life. They are smaller than you would imagine and they have a playfulness about them which is very endearing. 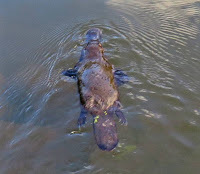 That is just too cool to see a platypus in person - I know I've never seen one in real life. I have a friend who lives in Tasmania and she's visited me here in the States and says it's my time to visit her now. Maybe I'll actually see a platypus when I go! The trick with platypus is to ask around. I did some research and found another blogger who said she had seen them at Deloraine almost every day while she stayed at the caravan park. They aren't easy to find but when you do find one it is great. Lyn - you really do select great topics. As someone who is overseas, I'm seeing Australia in a whole new light - and I'm an Aussie - well done. Platypus are a rare find indeed. Next time you are back in Oz take Explorason to Tidbinbilla Nature Reserve in the A.C.T. There is a small dam there where I have seen them and I know two other people who have seen them there. Don't go on a hot day in the middle of summer. These interesting animals can be elusive. I was able to spot several in the Tablelands near Cairns. Thanks for the tips for seeing them in Tasmania. Sorry if I left 2 comments. You were very lucky to see more than one. I saw two once at Tidbinbilla Nature Reserve near Canberra and there may have been a third but I wasn't sure. We saw the Tasmanian one up very close which was fantastic. Kept wondering if David had a traumatic experience a long time ago at dawn or dusk! Great description of a platypus (I had no idea) and what to look for. Glad you were able to get a photo but it's too bad they're so shy. Would have been great to have a close up! Haha - as far as I know David never suffered a dawn/dusk trauma! He just doesn't like getting out of bed and isn't the biggest fan of driving at night. There is a very good Platypus House at Taronga Zoo in Sydney if you ever visit. I just googled it and there used to be three platypus at the Bronx Zoo, Betty, Cecil and Penelope. Apparently Betty and Cecil both died. Penelope escaped, although quite how that is possible baffles me since platypus don't do so well on land. Still she could be out there somewhere. According to Google, platypus are very difficult to breed in captivity. It looks like if you want to see one you'll have to visit Oz! I would love to see one in the wild, they look so interesting. They are fun to watch. They never seem to stay still. On our visit to Australia we didn't see a platypus in the wild, but did get to watch a couple in captivity. I was surprised by their size. I expected them to be bigger. I was the same when I first saw one at Taronga Zoo in Sydney. They were about half the size I expected. Thank you for the kind words. I love looking for wildlife and sharing my finds with the world. Great advice! 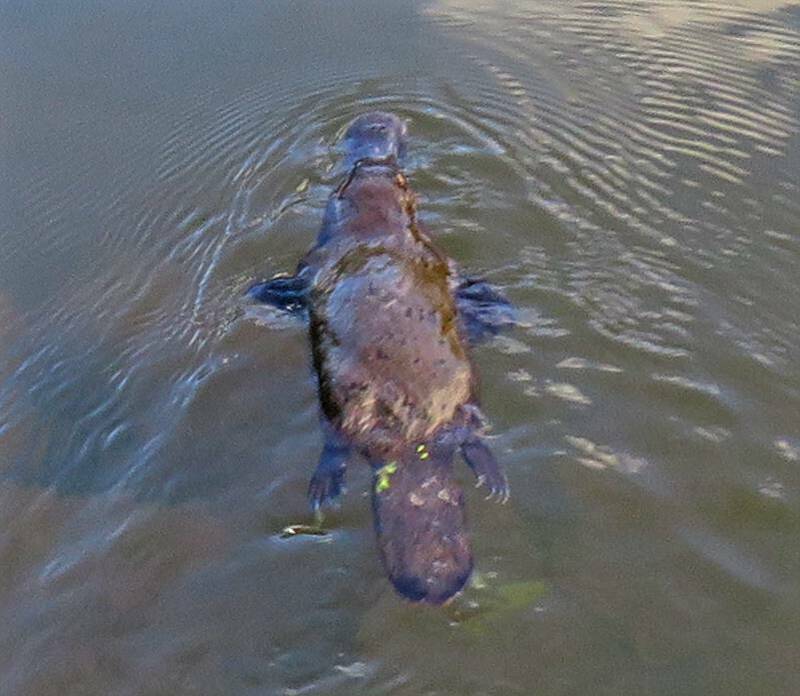 I was lucky to spot a platypus in Eugnella National Park in Queensland and was only recently intrigued to find out that until not so long ago scientists didn't even know how they reproduced. There is a whole big display on the study in the National Australian Museum in Canberra. Thanks for sharing your tips! Next time I am in Canberra I will hunt up that display. Thank you. I will put these on my list of places to visit! Tasmania is now my part of the world, went to Latrobe, interested in Deloraine, the Fernglade reserve is also supposed to have platypuses. Haven't seen one yet, wasn't looking that hard, but I did see a monotrene today. The echidna at the park I've been restoring, has finally gotten used to me. It still scrunches up into a ball every now and again. But after I laugh, it unscrunches itself and goes on it's way, it gets very near to me. Maybe I should have gone for the camera, but I was sitting in the folding chair and it was so active around me, I didn't want to disturb it. I'll try to send a panorama, I've been using for my phablet, virtual reality experiments. We see echidnas very occasionally in a National Park near where we live in Sydney. They are very timid so it's a win to see one not curled in a ball. Thank you for this post, Lyn Lindfield! Thanks to your story, we drove to the caravan park in Deloraine, booked in and walked along the river bank at dusk. It didn't take us long to spot our first platypus and then there were several more. I can hardly believe it happened! Thank you so much! I am so glad you saw some platypus. I am a wildlife tragic from way back and platypus spotting was something of a holy grail for me. Thank you so much for this post. We drove to that caravan park today and spotted several of them little buddies this evening. I am simply amazed! I am realy glad you saw some. They are great aren't they.